Since 2016, CKC has been associated with StayBillety, and their partnership continues this year. 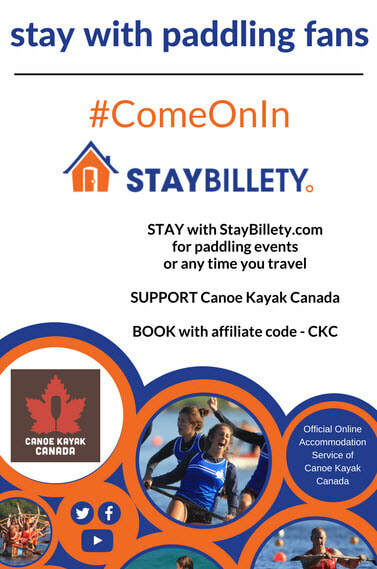 StayBillety is the official online accommodation service of Canoe Kayak Canada. This service allows canoe and kayak athletes and members to meet and to save money by traveling during the competitive and training season, while making a small profit by sharing their space as host. All bookings made using the "CKC" code will benefit the development of CKC athletes across the country. The partnership with StayBillety can be very useful for athletes! 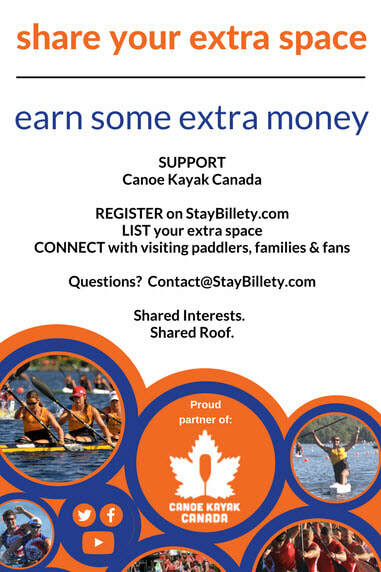 CKC encouraged all CKC members and their friends and family to list their extra space on the StayBillety website - http://www.staybillety.com -, as well as to use this service during events such as national team trials or provincial championships for example.